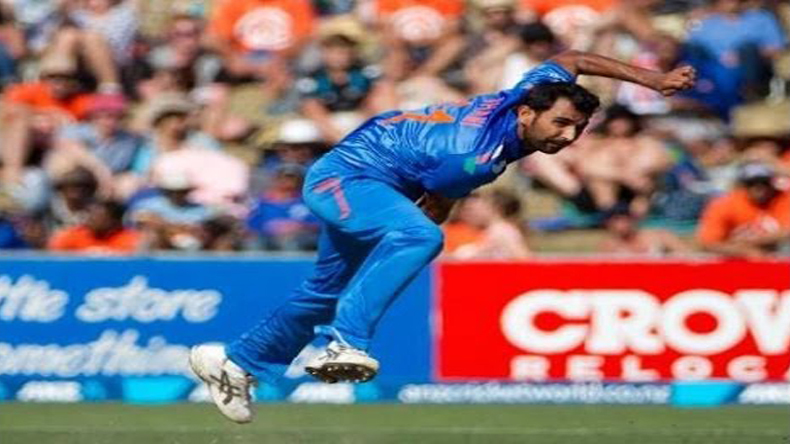 Hamilton: India’s pace spearhead Mohammed Shami today received the biggest compliment in his two-year international career as one of the greatest fast bowlers of all time Sir Richard Hadlee termed the young seamer’s efforts in the ICC Cricket World Cup “particularly impressive”. New Zealand’s greatest cricketing icon said that the Indian bowling unit’s turnaround after their disastrous Test and tri-series show has been very impressive. “The bowling has been the weaker suit, but they’ve sorted that out. That is going to make them very competitive in this tournament,” Hadlee said during a media interaction for a World Cup promotional event at the Hobiton Movie Set here. Like a true-blue Black Caps supporter, Hadlee’s vote for the best fast bowling unit went to his countrymen Tim Southee, Trent Boult and Daniel Vettori. For someone who could bowl both inswing and outswing with same action, it was only natural that Hadlee would point out about the subtle changes in trend that has happened in fast bowling over the years. Hadlee wants to see the old-fashioned inswinging yorkers come back in the picture. “But I still believe that if you get the good old fashioned toe-crusher (yorker) in, on middle and leg, even if the batsman is backing away, he can only hit straight. With bigger bats and shorter boundaries, you’re getting more runs, and 120-150 in the last 10 overs is far too many. It’s the difference between winning and losing,” said the 63-year-old Hadlee who has 431 Tests and 158 ODI wickets.